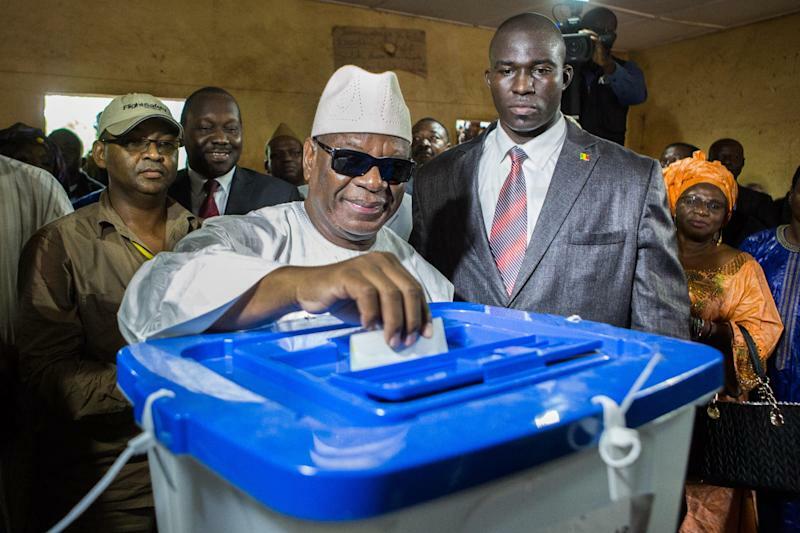 BAMAKO, Mali (AP) — Former Prime Minister Ibrahim Boubacar Keita won Mali's presidency after his opponent conceded defeat late Monday in an election aimed at restoring stability to a country wracked by a rebellion, a coup and an Islamic insurgency. Soumalia Cisse's concession averts a protracted election fight, allowing Mali to move ahead with establishing a democratically elected government, one of the international community's caveats for unlocking some $4 billion in promised aid. Keita, who is known by his initials "IBK," had been expected to win the runoff easily, having pulled nearly 40 percent of the vote in the first round. Most of the other candidates from the first round had given their endorsements to Keita, who has had a long career in Malian government. Cisse paid a visit to Keita's home late Monday along with his wife and family to deliver his concession in person. In an exchange broadcast on the private Malian television station Africable, Cisse told Keita he had come "to congratulate you and wish you all the success you deserve; a success for our country so that you can have the strength to take up the enormous challenges that await you." "That is a symbol of the new Mali," Keita later told Africable, adding: "I am full of emotion." Earlier in the day some of Cisse's supporters had raised allegations of ballot stuffing against Keita's party, raising the specter of a legal battle. Cisse's move drew praise from Keita's supporters late Monday. "It's a democratic act that shows that whatever the circumstances, all Malians are from the same family," said Issouf Traore, 28, who voted for Keita. "This act will serve as a lesson to young Malian politicians but this gesture shows above all else that Soumalia Cisse is going to work together with IBK to restore the state, and bring peace and development." Keita ran for the presidency in the two previous elections of 2002 and 2007. 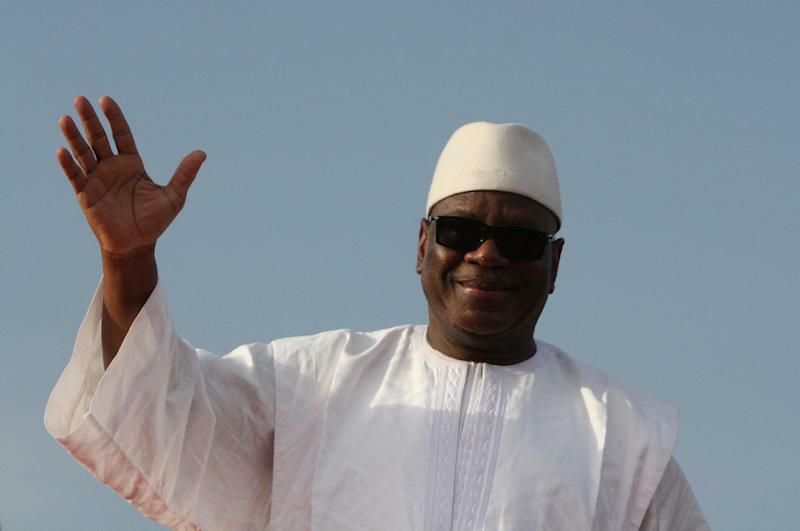 He also served as foreign minister and National Assembly speaker during his long tenure in Malian government. During his campaign, he ran on a pledge of restoring honor to the country ravaged by an Islamic insurgency that overtook the northern half of the country until French forces arrived in January to oust them from power. Many voters said they had chosen Cisse because they thought he could best resolve the crisis in the north, where secular Tuareg separatist rebels still pose a threat to regional stability. Talks with the rebels from the National Movement for the Liberation of the Azawad are due to begin within 60 days of the formation of Keita's government and many Malians remain wary of negotiating with the group whose rebellion sparked more than a year of chaos in what was once one of West Africa's most stable democracies. Voter participation in the town of Kidal, the NMLA's stronghold, was a mere 12 percent in the first round, and many there will not pledge allegiance to Mali or its new president regardless of who won. The first round of presidential voting had featured technical glitches, leaving some voters unclear about where their polling stations were located. However, European Union and African Union electoral observers offered praise for the Malian runoff vote. 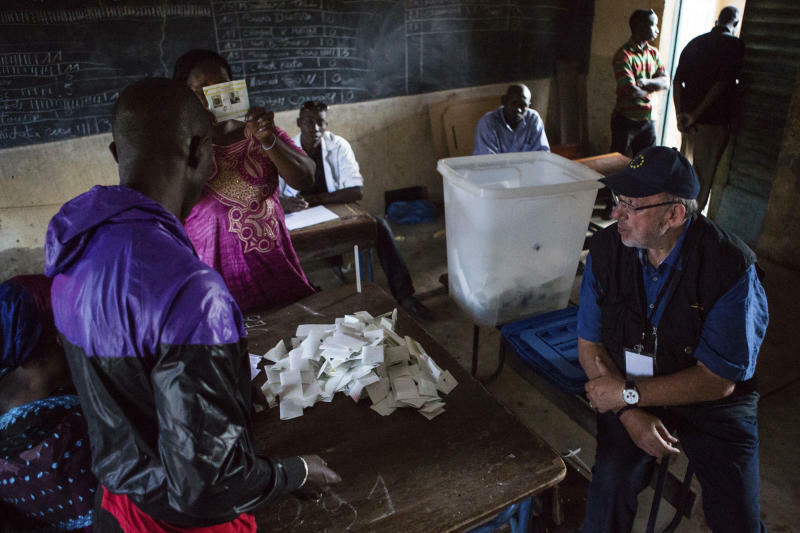 "Malians should be congratulated because it seems to me they are regaining control of their democratic destiny, which is in fact nevertheless a tradition that exists in Mali," said Louis Michel, the head of the EU observer mission. Ibrahima Sangho, president of the Malian electoral monitoring group known as APEM, also said Sunday's second-round vote had gone smoothly. "We think the winner is the people of Mali who have come out in large numbers to vote to show that the people have the will to pull the country out of crisis," he said. "However, no politician can run Mali as it has been run over the last 20 years. People are going to watch the new president closely and follow him closely over his campaign promises." The election was critical to unlocking $4 billion in aid promised by international donors to rebuild the country after political chaos sparked a humanitarian crisis. A democratically elected government is one of the conditions set by the international community, and a transitional government has been in place since not long after the March 2012 coup. In the aftermath of the government's overthrow, separatist Tuareg rebels and later al-Qaida-linked militants seized control of northern Mali's towns. The radical jihadists imposed a harsh interpretation of Islamic law, turning the once-moderate Muslim country into a place where women were whipped for going out in public without veils. France, Mali's former colonial ruler, launched a military operation in the African country in January after the extremists begin surging southward from their stronghold in the north. The Malian military has been able to regain control over the northern towns of Gao and Timbuktu though its presence remains highly controversial in Kidal. Nearly 200,000 Malians remain in refugee camps in neighboring Niger, Mauritania and Burkina Faso, and an untold number of others are still living in the southern capital of Bamako instead of returning home to the north. Larson reported from Dakar, Senegal. Associated Press writer Moustapha Diallo in Bamako, Mali also contributed to this report. Follow Baba Ahmed on Twitter at https://twitter.com/Baba_A— . Krista Larson is at https://twitter.com/klarsonafrica.